You are here: Home / Great Deals / Amazon Deals / $15 Off $40 Thomas the Train Items Means Step 2 Coaster Only $77 Shipped! $15 Off $40 Thomas the Train Items Means Step 2 Coaster Only $77 Shipped! For a limited time, you can get $15 off select Thomas the Train Favorites when you spend $40 or more – discount will automatically be deducted at checkout! 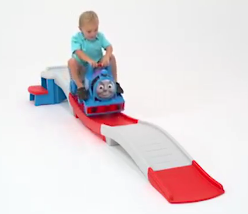 For an example, You can get this highly rated Step2 Thomas the Tank Engine Up & Down Coaster for just $77 with FREE shipping!